Located at 110 E. Lincoln Ave., in the heart of Breckenridge, the Salt Creek Steakhouse has catered to Breckenridge residents and tourists alike since 1997. The menu at Salt Creek encompasses the best steaks and BBQ in Summit County. 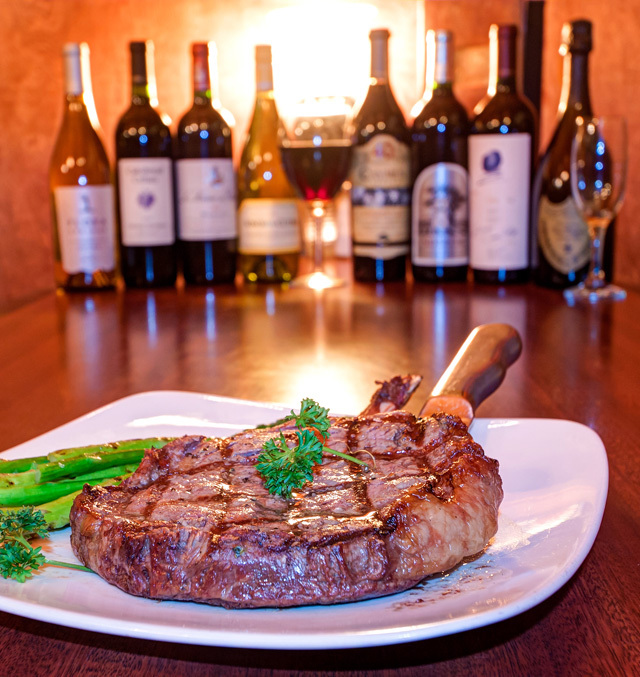 Moving into our second decade as Breckenridge’s premier steakhouse our focus has continued to ensure that the quality of our food surpasses the expectations of our customers. We proudly serve only USDA prime beef which ensures unparalled quality, a tender juicy texture and outstanding flavor. Our slow-smoked BBQ, cooked daily on premise, follows a generations old Texas recipe guaranteed to sastify even the most discerning BBQ devotee. The wine list at Salt Creek presents a wide variety of wines with the contemplation that a wide choice ranging from price point, vintage, appellation and varietal will offer several options to everyone’s palate. Our knowledgeable staff are well versed in recommending wines that will compliment the menu choices and tastes of every guest. We offer difficult to find wines as well as popular labels for our patrons to choose from. Our mission is to provide a culinary environment such that any person, whether a newcomer or a long time aficianado of fine wines can enhance their dining experience through a combination of our expansive selection of wines, our outstanding restaurant menu, and our experienced staff.